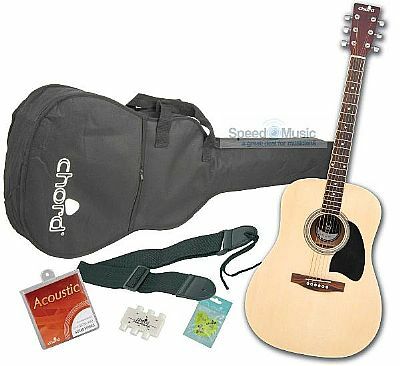 Chord full size Western style, steel-strung acoustic guitar with spruce laminate top and linden laminate back and sides. Catalpa neck with rosewood fingerboard and bridge. Gloss natural finish. NB. Left handed guitar version available.